The book Regarding Muslims seeks, as its fundamental objective, to theorise the history of Muslims in Cape Town, South Africa. The book is a protest staged on the page. With picturesque imagery, the author generates topics for intellectual discourse, works to create equality in the eyes of history and works on how the righting of wrong narratives must be set in motion. By means of historical evidence and by arguments, the book treats contemporary issues that range from slavery to race to Islam. Lenses like slavery and race are used to review the ascendancy of Muslims in the Cape. The literary preoccupations of the book are both historical and contemporary, and careful attention is given to revisionist perspectives. The fairest assessment of the book is best arrived at by treating the issues it raises separately even though they seem inseparable. It will also lead to an error of judgment to treat some of the issues the book raises as subsets of the other issues. And, no two issues illustrate the method of the book better than the treatment of slavery and apartheid. The book is careful to properly distinguish the difference between slavery and apartheid. While the former is a disease that ravages the conscience of humanity, from the memoirs of history to the uncertainties of the future, the latter took depravation right into the heart of modern civilisation. The book responds to commonplace narratives about Muslims in our world and those narratives created by those who have the voice to speak history but not necessarily the truth. Regarding Muslims, in its attempt to look into a ‘past that is not history’, seeks to set aright half-truths. The author carefully weaves academic facts with native experiences to deliver a treatise on the true place of Muslims in the Cape and, probably, in the world. In the arguments of the author, South Africa, like the rest of the world, has refused to engage the true nature of the history of Muslims in the Cape, and is also guilty of perpetuating the single story of Muslims as beings perpetually baying for blood. In order to appreciate the essence of Regarding Muslims, it must be read not only as a history text but also an attempt to develop a true human behavioural science. The book calls attention to all the traces of the politicisation of history to suit dominant narratives and pervasive nuances. The book successfully positions South African Muslims as owners of their own peculiar heritage and history and not some exotic breed of Orientals who do not share in an official past that is exclusively presented as the only legitimate way to gain presence in South Africa. The book relies on the etymology of words and their meanings in order to come to terms with the alignment of history and the present. The terms ‘Malays’, ‘Poes’, ‘Coloured’, ‘Kaffir’ and many others are used to help interrogate the separateness of Muslims in the Cape and of their role as owners of their identity. 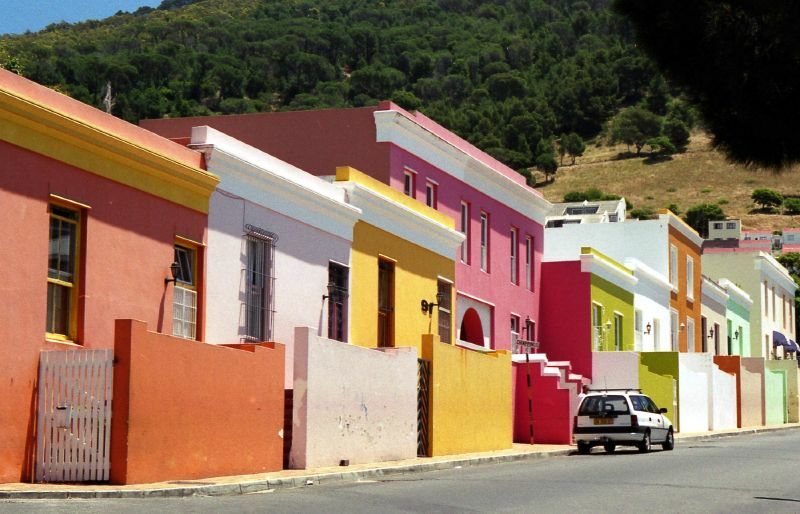 Slavery is used to mark the beginning of the history of Muslims in the Cape, which further gains credence from a presentation of the archaeological facts that support the true history of Muslims in the Cape. The author seeks out the uniqueness of the identity of the Muslims in the history of their culture of cuisines and arts. The book also uses, beautifully, the poetry of abuse and resistance to oppression, which characterised slavery and which continues to be produced in the post-apartheid era in South Africa. Every work for the mind is suspect. There is always what is and what is being projected. The author deliberately avoids the question of whether Muslims were guilty of the allegations that they constituted a parallel government with Pagad. The book does not adequately dispel the media-reported complicity of some Muslims in wrongdoing. The victim card played by the author all through the text raises neon signs as to the true intent of the rigorous historical and academic exercise that is Regarding Muslims. The actual target of Regarding Muslims is not the everyday person in South Africa but a revisionist community, which the author perceives to hold the reins of the popular mind. This is misplaced as the former, not the latter, determines the pace and spread of untruths and half-truths. The author argues that Pagad in the Cape supposedly pushed a wrong agenda, adjudged to be Islamic. The author does not show that the Muslims in the Cape were not responsible for Pagad. The author does not succeed in clearing up the grey areas around whether or not Pagad represented the Muslims in the Cape. Throughout the text, the author hangs the media with a tight noose and holds it responsible for misrepresenting Muslims, especially during the times of Pagad and in the post-apartheid era. The author’s fascination with the media does not further the purpose of the text. The author’s impassioned narrative is compelling. She has thought hard about the challenges of a contemporary perspective and wrestles them whole-heartedly with the use of historical works, facts and a curious use of language. Her arguments, save some, are carefully marshalled and as such she compellingly makes a case for her audience to look into the true nature of what history is. The issues of colonialism, slavery, race and religion in the Cape have not been better presented, collectively, as they are in Regarding Muslims. Regarding Muslims excavates a history most of the world is unaware exists. It brings out for the world, a representation of a people defined by their beliefs but subconsciously condemned by the world for it. The concentration of effort in this work, to project the true picture of Muslims in Cape Town, will earn it a permanent place in the discourse of the geography of space in South Africa and the world. The book successfully amplifies the discussion and will generate further discussions of a rather marginalised topic. The vigorous arguments in Regarding Muslims, against the currently pervasive perceptions of Muslims in the Cape, will serve as nucleus for generating a more interesting discourse on the true identity of Muslims in the world. This work is not only important because of its richness in adducing formidable arguments and conjectures, it is important because, once again, a product of sound reasoning has reiterated, for revisionists, the need to look into our world of questions in a bid to proffer enduring answers.